Jared Howenstine concentrates his practice in intellectual property/information technology. He focuses his practice on patent prosecution, counseling, licensing, and patent infringement litigation, representing companies from a broad range of industries, with clients of all sizes, from solo inventors to start-up companies to Fortune 100 companies. Jared’s utility patent prosecution and counseling practice has involved mechanical medical devices, tools, automotive components, oilfield exploration and production equipment, additive manufacturing, consumer electronic devices, wireless communication, machinery, elevators, heating and cooling systems, and aerospace and aeronautics components. 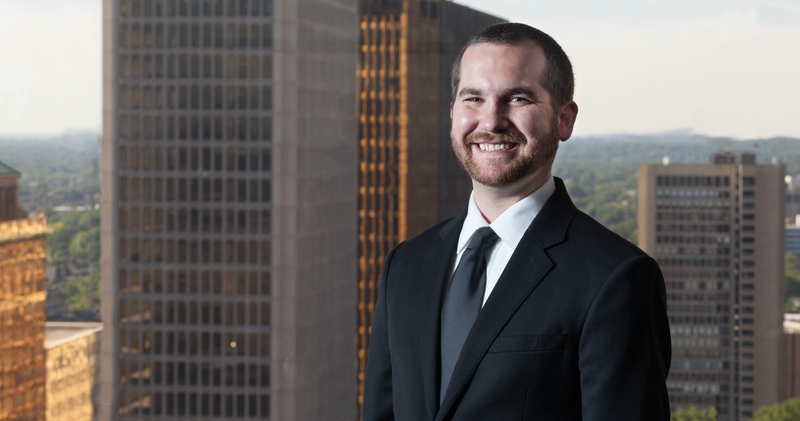 He has also represented and counseled clients for design patents related to tools, automotive components, and electronic devices. "Connecticut Movers: Promoting Lawyers Who've Clearly Got the Goods" highlighted the promotions of Partner James Wimpe, Alicia Hayter, Jared Howenstine, and Wanli Wu to Counsel, and Senior Patent Agent Jessica Zimberlin Eastman, Ph.D., to Senior Patent Agent in the January 25, 2019 article in the Connecticut Law Tribune. Cantor Colburn LLP, the fourth largest patent law firm in the U.S., welcomes the new year with the elevation of James Wimpe to its partnership. Also effective January 1, 2019, Associates Tina Dorr, Ph.D., Patrick Griffin, Alicia Hayter, Jared Howenstine, David Kincaid, Matteo Pedini, and Wanli Wu will be promoted to Counsel. Jessica Zimberlin Eastman, Ph.D., will be promoted to Senior Patent Agent. Cantor Colburn announced that it has hired seven attorneys to work in its Hartford, Atlanta, and Detroit offices. The new hires have experience in a diversity of technologies- chemistry, chemical engineering, physics, electrical engineering, and biomedical engineering- and are also IP attorneys. Jared Howenstine and Jessica Eastman will attend the Conference for Undergraduate Women in Physics at UMass January 18-20, 2019. The UMass Amherst site is one of 12 different conferences taking place in various locations around the country over that same weekend. Attendees of the conference are generally regional, and are coming together to present information on their physics research, network with their community, and learn more about career prospects in local companies.